The field of engineering is practical in nature; it is a field that deals with problem recognition and solving. However, it is easy to get bogged down in the theoretical, with the mathematical and physical principles that form the field’s base taking forefront. 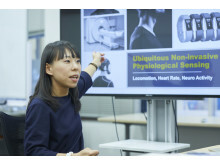 To show some of the exciting ways engineering in general, and our esteemed faculty specifically, contribute to our society, we sat down with Dr. Kazuo Oki, a specialist in measurement and recently researching drone measurement, as well as Dr. Liang Zilu, who is researching the exciting field of wearables. Pecan nuts: the key to Japanese rural revitalization? Pecan nuts are a type of nut enjoying popularity around the world for its wide-ranging gastronomical applications. How this complex nut grows in various conditions has been one of the major research topics of Dr. Oki, and he has a grand vision for it in his home country of Japan. Having conducted his research in Arizona, he looked at optimal growing conditions and how different types of pecan nuts mix together. This is done through measurement, specifically capturing images of the plantation through a drone. The agricultural sector is seeing an immense shift towards the use of drones from satellite. The benefits are abundant: higher screen resolution allowing for more detail, higher frequency of measurement (daily measurement is possible) as well as the ability to gather data in bad weather. Specifically, with regards to pecan nuts, satellite images cannot capture instances where the various types of pecan nuts have mixed. Dr. Oki has even been working to use drones in keeping away crows, who enjoy snacking on the nuts, from the plantation. Now he believes he can replicate optimal growing conditions in Japan - solving one of the country’s major issues along the way. The ageing, declining population in the country has resulted in massive depopulation in rural areas, and the agricultural sector is hit especially hard. There are not enough capable farmers, and open, unused land is increasing. It is this land that Dr. Oki envisions to be transformed to grow pecan nuts. It is a perfect marriage for a multitude of reasons: in addition to finding a use for suitable land that is being unused in rural areas, pecan nuts do not require a great deal of care, a point of importance when considering the shrinking workforce in the sector. Furthermore, they are generally said to be safe from Typhoons and other natural disasters Japan commonly experiences, to say nothing of the health benefits that include prevention of Alzheimer’s disease. 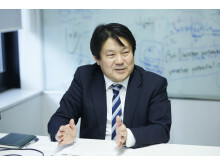 However, Dr. Oki cannot undertake this task alone. At KUAS, he is developing his knowledge about the nut further through collaboration with the Department of Bioenvironmental Engineering - all the while corresponding with local governments and business to work towards making his dream a reality. Wearable devices already constitute a major development in consumer technologies, with everything from watches, wristbands, glasses and even rings being turned into a smart device. One key component of these devices is the ability to measure - be it your heart rate, the amount of sleep you got last night, or how many steps you took on a given day. 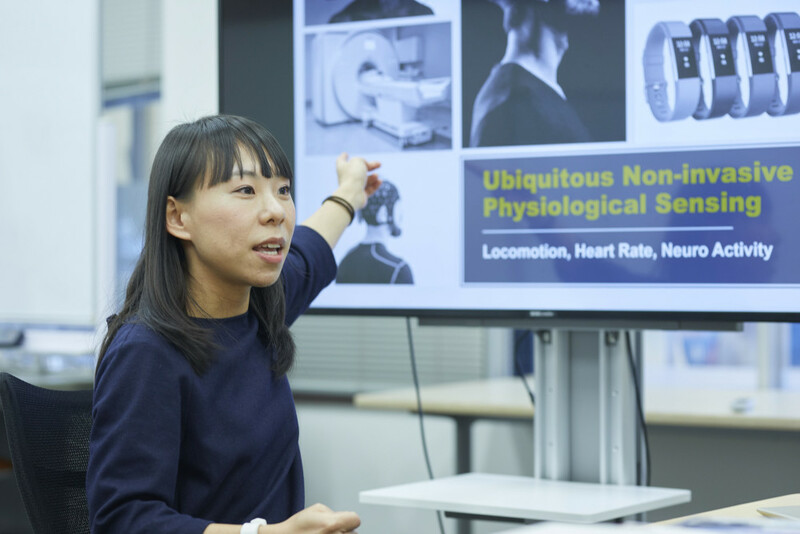 Dr. Zilu, whose research focused on combining wearable technology with deep learning, has her sights set on something even bigger: she believes the future of wearables will go beyond simply measuring. As part of the “Quantified Self” movement, people have become more and more interested in improving their lifestyle based on measuring themselves. Usually, people start doing this with a goal in mind. One example would be trying to understand one’s sleep patterns better in an attempt to get a better night’s sleep. 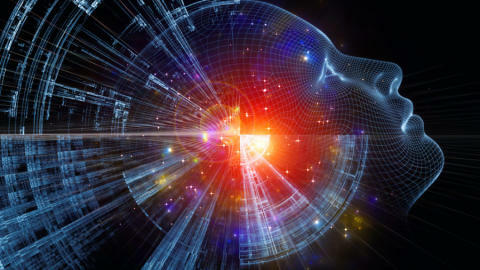 What current technology can do is provide quantifiable understanding, e.g. average hours of sleep on a weekday. However, there remains great potential in how to analyze and utilize this data. By measuring over a long period of time (another benefit of the spread of wearables) and combining it with deep-learning algorithms, it is possible to go beyond simply measuring and provide data-based, personalized ways to improve one’s lifestyle. Such analysis can become even more powerful once various data points are combined. Dr. Zilu wants to create a future where we can provide analysis on things now considered abstract, such as stress or depression. By using the power of wearables and combining the various measurables they provide, this could potentially allow us to come up with a quantifiable definition of such terms, and thus help us understand what metrics, trends and precursors to look for, allowing for forecasting and early prevention. The Kyoto University of Advanced Science’s (KUAS) all-new, innovative English-taught engineering department is currently in the planning phase for its launch in 2020. The school itself has a 50-year history since its establishment, and is an accredited private institution located in the heart of Japan. 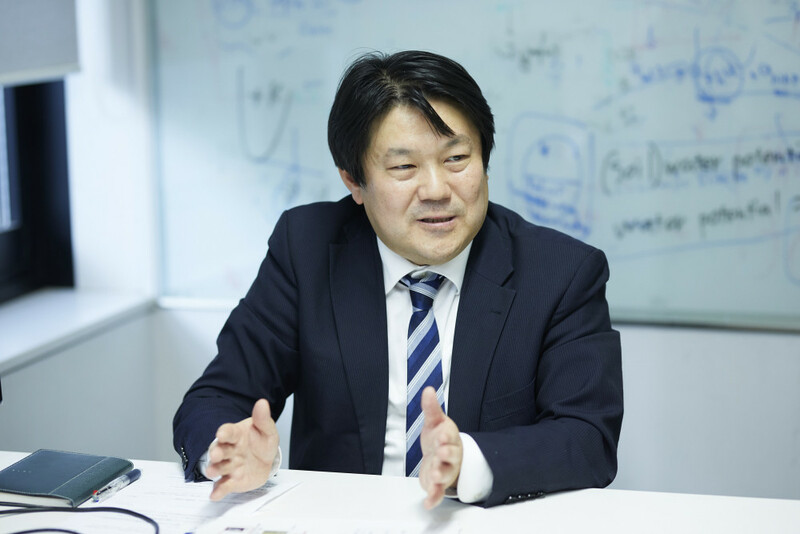 By inviting the top-notch CEO of a Kyoto-based globally successful firm as chairman, the university aims to offer its academic resources in the international arena, with the exciting new engineering department being one example of these efforts.